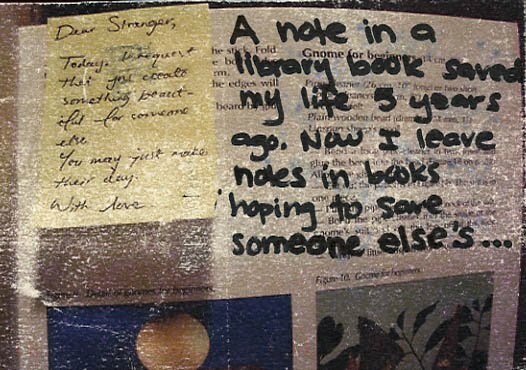 I have never found a note someone left in a library book, but what amazing potential. 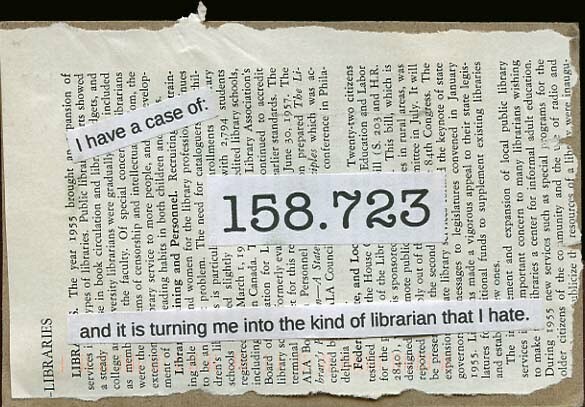 Posted under Library, Random on Tuesday, February 22nd, 2011 at 10:36 am, by Brian Herzog. Post and comments available via the RSS 2.0 feed. Both comments and pings are currently closed. 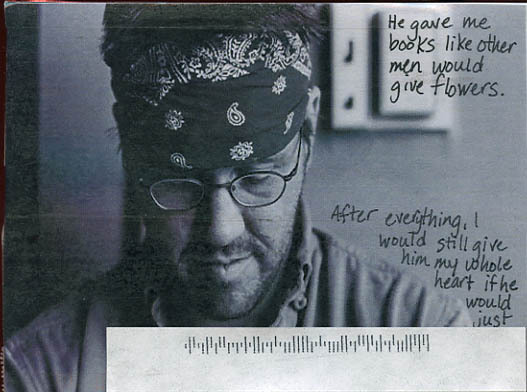 I was curious as to what was under the barcode sticker in the center postsecret, and have been checking the site repeatedly to see if he had successfully removed it and uploaded a new picture or stated what was printed underneath (if it was still legible). 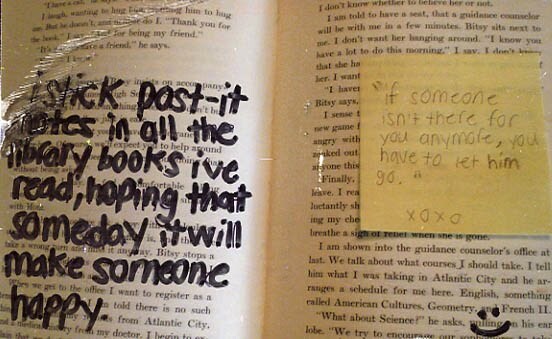 I’ve found doodles in public library books. I have them hanging in my apartment! I also collect the random papers I find at work (I work in an academic library) and the random notes and such I find when I check out books from the public library. This would be an amazing project, akin to the Art House Co-op Sketchbook Project: http://www.arthousecoop.com/projects/sketchbookproject. I found a letter about someone following their dream of going to culinary school tucked into a PostSecret book at Borders. It ended with, “I’m on the way to my dream, are you?” and is now tacked on my wall, as a reminder.